As soon as Florence Moss opened the mail and looked at her bill she says she knew something was wrong. “I feel like I got ripped off,” said Moss. That’s when she called News 4 Tucson Investigator Nick VinZant. Now, Moss says she had a full refund. “I couldn’t even believe the check. I looked at the check and I said this isn’t real. Went to the bank as fast as I could and it was real, ” said Moss. Moss first purchased a prepaid cremation package from a national cremation company earlier this year. She says she told the sales representative all she wanted was a basic cremation, nothing fancy. 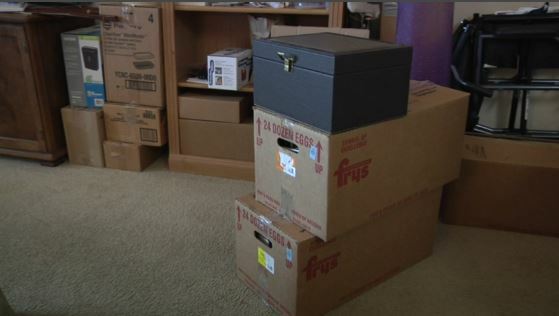 Instead, Moss says she ended up paying nearly $900 for a box for her ashes, around $400 for her grandchild’s cremation, and around $500 in case she died oversees. “At my age I barely make it to the grocery story once a week,” said Moss. While Moss ended up getting all of her money back. News 4 Tucson found out what happened to Moss is part of growing problem. WHITEHALL TOWNSHIP — For generations, the Beidler family has helped inter loved ones in their final resting places, but economics and shifting preferences toward cremation are forcing the business to rethink its operations, including construction of a new crematory, in order to survive. Fullerton Wilbert Vault Services in Whitehall Township specializes in setting up graveside services — providing vaults, or liners, for coffins, setting up tents and chairs for mourners and opening and closing graves. But more and more people are turning to cremation after a loved one dies, scattering their ashes in meaningful places or storing them close by in urns and other sentimental keepsakes. According to the Cremation Association of North America, nearly 49 percent of people opted for cremation in 2015 — that’s up from 26 percent in 2000. The association predicts that by 2020, the rate will reach 54 percent in the U.S. and as high as 74 percent in Canada. For that reason, Fullerton Wilbert Vault Services owner Joseph P. Beidler wants to build a crematory at his facility at 313 Catasauqua Ave. He’s scheduled to go before the Whitehall Township Zoning Hearing Board on Tuesday to seek a variance for approval. As cremation rates climb, Beidler has seen his business decline. The drop in business has forced the company to reduce its employee head count from nine to five in the last decade. The diversification into cremation services is vital to keep the company in operation, Beidler said. The business owner said he has no sense of what kind of reception the request might have within the community. The “not in my backyard” argument is a zoning objection as old as zoning law. But Tanya Marsh, property law professor at Wake Forest University, said uses such as crematories, funeral homes and cemeteries face an extra layer of superstition from the public since they confront mortality. Is it OK for Christians to Be Cremated? Does cremation interfere with the resurrection? Is it wrong to cremate a person’s body according to the Bible? Historically, cremation has not been part of the Christian tradition. Early Christians agreed with their Jewish ancestors that cremation was not an option they would consider, even though the Bible includes no specific mandate prohibiting it. However, this view has transformed over the years. Today, many of us have friends or family members who were cremated and cremation is sounding more and more like something we might consider for ourselves. But is cremation an acceptable option for Christians? Many factors influence a person’s choice on what to do with the body after death. Some of these factors include wealth of the family, the status of the individual, the climate of the country, health, sanitation and religious beliefs, among other things. Among these variables comes the debate of burial vs. cremation. The previously named factors contribute to the choices that each individual and family will make with respect to the question. When it comes to whether it’s ok for a Christian to be cremated, the best place to turn is the Bible. The Bible nowhere answers the questions as to the method of disposal. Moral and religious questions are raised as to the right to “destroy” the body through cremation of the remains. The Bible has remained silent as to the correct technique. From this, we know that one can’t say that cremation is a sin. One might say that burial better reflects the biblical perspective on life, death and the body. But one can say with certainty that Christ will come again, and our bodies will be raised again, never to die again. Cremation was practiced in biblical times, but it was not commonly practiced by the Israelites or by New Testament believers. In the cultures of the Bible times, burial in a tomb, cave or in the ground was the common way to dispose of a human body. You can find references of this in Genesis 23:19; 35-19; 2 Chronicles 16:14 and Matthew 27:60-66. While burial was the common practice, the Bible nowhere commands burial as the only allowed method of disposing of a body. PITTSBURGH (AP) — When Scott Beinhauer’s forebears expanded their funeral business in 1921 with a location just south of the then-new Liberty Tunnel, they added a rare piece of equipment: a crematory. For nearly a century it stood as the second-oldest crematory in use in the nation, although it would have received only occasional use for its first few decades, when more than 95 percent of Americans were still opting for burial. That began to change in the 1960s, and now the nation has reached a cultural tipping point, with cremations outnumbering burials. The Memorial Day tradition of paying respects for the departed are increasingly taking place in columbariums rather than graveyards. 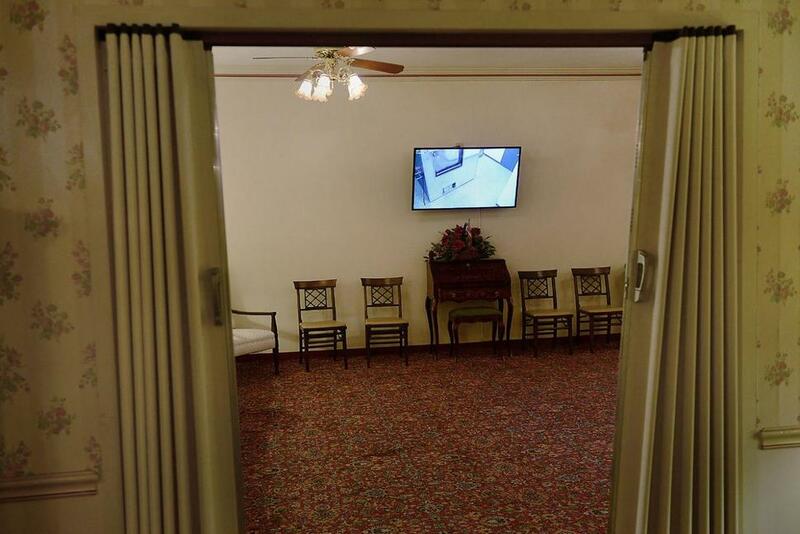 The Beinhauer funeral home on the Dormont-Beechview line has responded to the trend by replacing its historic crematory with a state-of-the-art one with computerized controls — and by expanding the chapel and family waiting area around it so that relatives can be there during the process and participate if they choose. The LeMoyne Crematory, on the outskirts of Washington, Pennsylvania, may be the nation’s first crematory. The LeMoyne facility was designed so that flames would never touch the bodies being cremated. The first cremation took place there in 1876; the last in 1901. 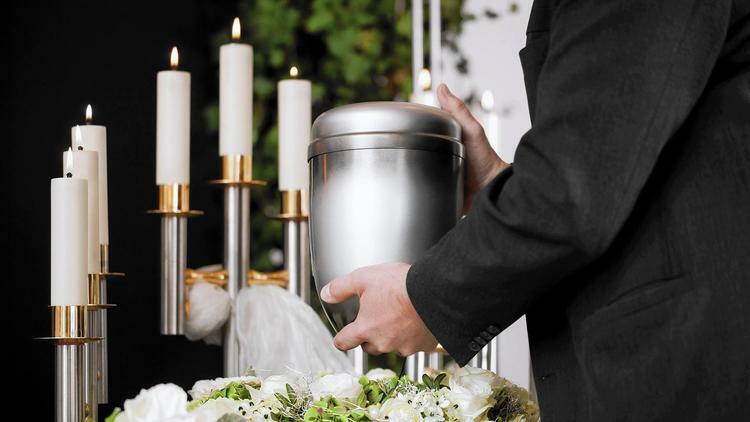 Beinhauer, director of operations for the Beinhauer Family Funeral Homes and Cremation Services, said nearly half of its clients opt for cremation. Although a basic cremation is less expensive than burial, that’s not the main reason for it. Some clients are members of Pittsburgh’s large Hindu community, who incorporate ancient rites and extensive family participation into the process. Others simply prefer cremation for reasons that vary from simplicity to environmental concerns to cost. In a more mobile society, some families opt for cremation so that the loved-one’s remains could be more easily moved if the family moves. Plus, it’s easier to schedule a memorial service weeks or months after the death if the body is already disposed of. Cremations outnumbered burials in the United States for the first time on record in 2015, the most recent figures available, according to the National Funeral Directors Association. That year, cremations accounted for 49 percent of deaths compared with burials at 45 percent. Patrick Lanigan, a former board member of the association and owner of a funeral home and crematory in East Pittsburgh, said that while a minority of clients who opt for cremation shun formal rituals, about three-quarters also do have such traditions as a church funeral, viewing or memorial service. 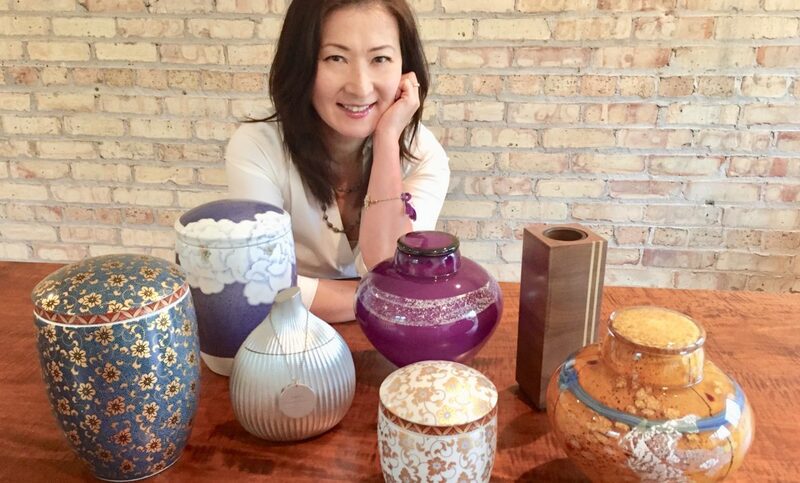 CHICAGO — Former marketing executive Michi Kustra is introducing new design sophistication and Japanese aesthetics to memorial urns and changing the way many Americans are choosing to remember their loved ones. Kustra credits life’s challenges with leading her to help found Urns In Style, a business that is bringing artistry and curation to the cremation urns market. Born and raised in Iwate, Japan, Kustra graduated from Waseda University in Tokyo as a social psychology major. But soon after she graduated, Kustra discovered that opportunities at Japanese corporations were limited for women. “The interviewer would tell you right away that I could only stay (at a Japanese corporation) until age 24. After that, you were expected to marry and start a family.” she recalls. Kustra set out to instead work for a foreign company and was hired by global advertising agency Leo Burnett, which maintained offices in Japan. Rising through the Leo Burnett ranks, Kustra was transferred to the company’s worldwide headquarters in Chicago, and after a seven-year stint at the agency, she moved on to Internet marketing during its infancy, and has since built her career as a senior level Ecommerce marketing and merchandising executive. Her online retail experience ranges from apparel (Spiegel Catalog) to the No. 1 retailer for Herman Miller high-end office furniture (Office Designs), cultivating in-depth knowledge of what it takes to operate a successful online retail operation. When she learned that the husband of one of her best friends was dying of a cancer and that he had elected to be cremated, Kustra became intrigued by cremation and product offerings for the category. Upon searching on Google, Kustra found existing urn offerings disappointing, only seeing basic “containers” with no aesthetics. “Shopping for an urn in itself is a very emotional experience where the customer needs both comfort and inspiration at the same time, since they want to celebrate a life of their loved one,” she points out. The experience was an “aha” moment for Kustra, realizing that there was a huge void in the American market. Cremation is widely accepted in Japan (99.9 percent) and other parts of Asia, including Thailand, Taiwan, India, and Nepal. The cremation rate is steadily increasing in the U.S., where it is projected to rise to 55.6 percent by 2025, according to the Cremation Association of North America. The disparity can be attributed to religious precepts and culture. The Catholic Church, for example, prohibited cremations until 1964. In the Japanese American community, statistics appear to be more akin to practices in Japan. Cathy Tanaka of Fukui Mortuary, whose clientele is predominantly Japanese American, reviewed data collected so far this year. “Based on our experience, about 80 percent of families choose cremation versus burial,” she reported. Believing that there was a market for high-quality urns that offer inspiration to celebrate a life, Kustra devoted off-hours to pursue her idea while working full-time as a partner/vice president of marketing and mother of two daughters. Three years ago, she quit her corporate job and began pursuing her dream full-time by launching Urns In Style. She envisions the urns that she offers as works of art and works with artists who can provide exclusive designs. 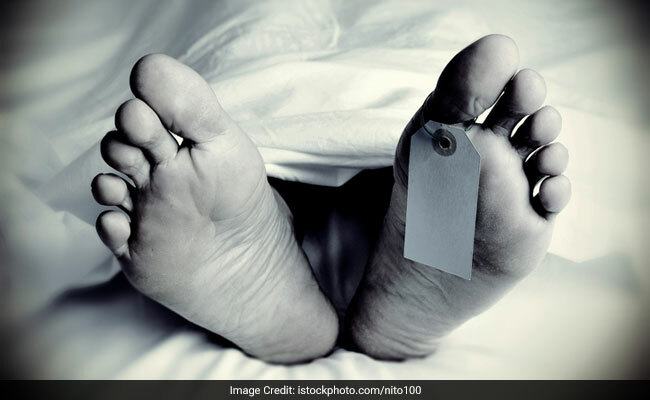 In a bizarre incident, a 17-year-old boy ‘woke up’ on the way to his funeral in a Karnataka village. Kumar Marewad was bitten by a stray dog about a month ago, after which he developed high fever last week, reports The Times of India. Kumar was put on life support at a hospital as his condition worsened. But the family shifted him back home when doctors said the infection had spread and he would not survive without a ventilator. “We had decided to take Kumar home after doctors told us his chances of survival were bleak once taken off the ventilator,” Kumar’s brother-in-law Sharanappa Naikar told The Times of India. Once home, when his relatives noticed no movement or breathing, they presumed Kumar was dead. They made arrangements for his funeral and headed to a nearby village for his last rites. The procession was barely two km from its destination when Kumar apparently opened his eyes and started moving his hands and feet while breathing rapidly. He was immediately rushed to a hospital, where his condition remains critical. 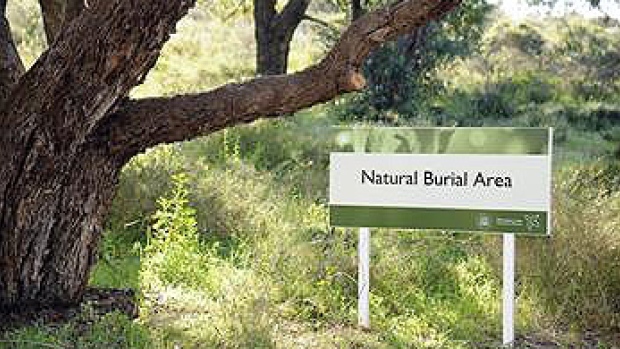 There are only 4 places in Canada that offer natural burials — 3 in Ontario and 1 in B.C. The leader of Manitoba’s Green Party wants to see the province do more to encourage what he calls human composting — natural burials that are an alternative to caskets, tombstones or cremation. James Beddome says many people don’t like the environmental toll that embalming, fuel-heavy cremation and elaborate coffins take on the environment. He says people who want to be buried in little more than a shroud and return to the earth in an unmanicured meadow should have that option. HALIFAX – A British man who was jailed for six days after Canadian border agents carried out a drug test on a recently deceased friend’s ashes says he’s angered it took so long before a retest allowed his release from a small cell. Russell Laight, 41, was travelling from Britain to Nova Scotia when his flight was diverted to St. John’s, N.L., due to a storm on March 2. 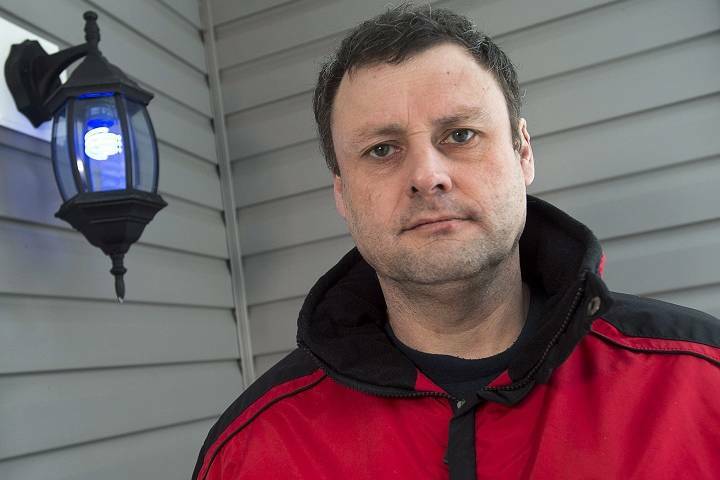 He says when he landed he was “gobsmacked” when Canada Border Services Agency agents took him aside to say a test showed the ashes of a boyhood friend he was bringing to friends in Nova Scotia turned out to have tested positive for the drug ketamine. Laight says after being arrested, charged and jailed, he was asked for a large sum for bail and declined because he felt that further information would show he was innocent of any wrongdoing. “I think they (the Canada Border Services Agency) should have to automatically do a followup test,” he said during a telephone interview from his friend’s home in Halifax. He says his stay in a St. John’s jail cell was difficult and frightening, as he watched the first week of his vacation disappear and found correctional officers unwilling to talk to him as he explained his innocence. 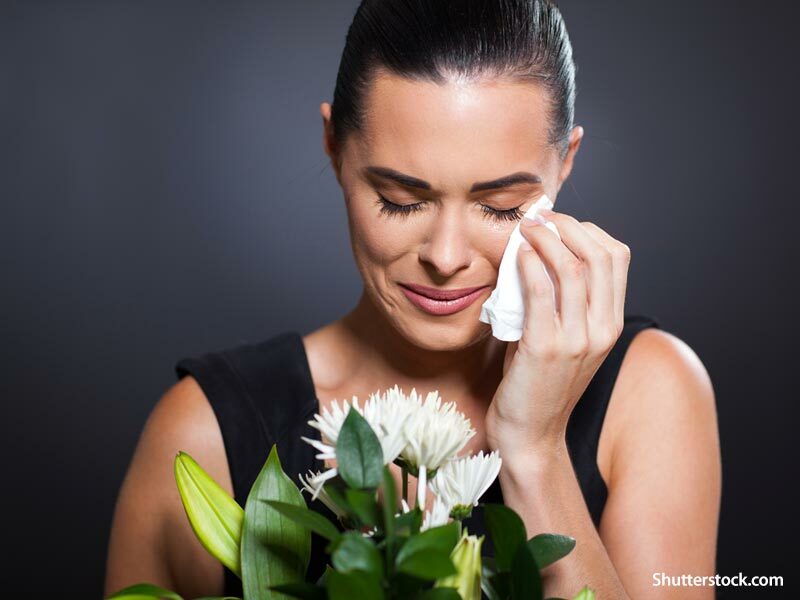 For decades, most people arranging a funeral have faced a simple choice – burial or cremation? 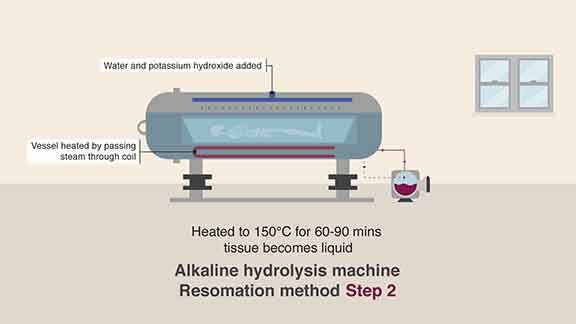 But in parts of the US and Canada a third option is now available – dissolving bodies in an alkaline solution. It will arrive in the UK soon. Its technical name is alkaline hydrolysis, but it is being marketed as “green cremation”. When we are buried, we ask our planet for resources a final time – wood for a coffin, cotton for the lining, stone for a monument. In the US, graves are usually either lined with concrete or the coffin is placed in a metal or concrete vault which will not decompose. But cremation has an environmental cost too. To burn a single body, a cremator machine generates enough heat to warm a home in winter for a week, even in freezing Minnesota. Bradshaw’s are one of just 14 funeral homes in the world to offer this “green” option. Alkaline hydrolysis is said to be much more environmentally friendly than conventional cremation. They offer both services at the same price and say the new kind of cremation has proved an unexpected hit. Of their customers who choose not to be buried – about half of the total – 80% opt for alkaline hydrolysis. But environmental benefits may not be the only factors influencing their decision. In choosing green cremation Judi Olmsted was mindful of Bob’s lifelong love of water and she perceived, in the water-based method, an echo of childhood baptism, which she found touching. Robert’s memorial is held on the outskirts of St Paul, Minnesota, in St Andrew’s, the light-filled Lutheran church the couple attended for years. The urn containing his powdered bones sits on a table next to flowers, photos and a wooden duck. The service opens with Amazing Grace and closes with How Great Thou Art. Afterwards, I ask one of Bradshaw’s funeral directors, Anne Christ, what reasons other people give for choosing alkaline hydrolysis. “There are some folks that we deal with that are very scientifically-minded and of course, interested in that environmental piece,” she says. Is dissolving a body in chemicals really gentler than burning it? Do people think about what goes on in alkaline hydrolysis? “There’s a certain amount they don’t want to know,” she chuckles. A majority of Nova Scotians who die are now being cremated rather than buried in caskets, but a CBC Nova Scotia investigation has found the costs that come along with that decision can vary widely. CBC News contacted 33 funeral homes across the province, asking for the price of a basic cremation. Not all responded but among those who did, prices range from a low of $1,200 plus tax to $5,500 plus tax. It’s not just the prices that vary, but also what is offered as part of a “basic” or “direct” cremation. “Most people don’t understand exactly what questions they should be asking,” according to Kollin Weatherbee, a funeral director and owner of Sydney Memorial Chapel. 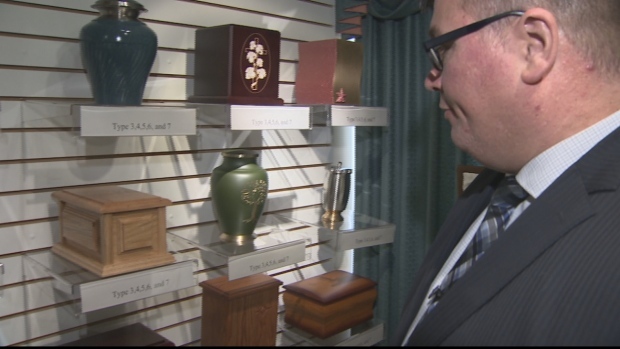 Weatherbee said some funeral homes include certain products in the direct cremation. Others provide bare basics and families can add on (and pay more) depending on what they want. There is no single definition of direct or basic cremation. It may include pickup and transportation of the body from place of death to the funeral home and onward to the crematorium, professional services such as filling out paperwork, a cremation case, the actual cremation, and returning remains to the family in a temporary cardboard urn. For additional services or memorial facilities, please visit Mosaic Event Centre.